Finahub Official Blog: Do you really need a KUA registration to get the Aadhaar data? 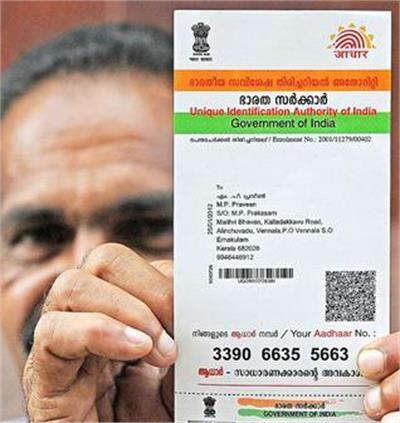 Do you really need a KUA registration to get the Aadhaar data? The answer is "it depends". It depends on what data you need and how you plan to use the data. If you want to do KYC, you have to register as KUA with UIDAI but if you just want to capture the data in the digital form you don't need to register as KUA. We get a number of inquiries about the AUA/KUA registration and implementation of eKYC service. As a general practice we try to find out why they need KUA registration, is there a regulatory requirement for the firm to do a KYC for onboarding new customers. In many cases, there is no regulatory KYC requirement and what is needed is just the name, address, and age. In such cases, there is no need for enrolling as a KUA and fetching the information from UIDAI. The data you need is readily available on the Aadhaar card itself. The QR code printed on the Aadhaar card has all the information that is there on the card. To get that data in digital format all you have to use is a QR code reader. Integrating the QR Code reader with a mobile-based client application will allow you to parse the information and send it to your server for further processing as required. You can try it out with any free QR code reader app available on the app store. One problem you might encounter is that QR code reader may not work when the Aadhaar card is laminated. In such cases, the fallback method can be to use an optical character reader to parse out the details printed on the card. The verification of the data can be done through demographic authentication using Aadhaar authentication service. Access to Aadhaar authentication services can be obtained by registering as a Sub AUA with any of the existing AUA's. Registering as Sub AUA is an effective way to access Aadhaar authentication services without having to invest in IT infrastructure or going through the lengthy registration process with UIDAI. Some organisations registered as ASA and AUA provide Sub AUA service. UIDAI's Auth portal provides list to live AUAs and live ASAs. If your organization has regulatory KYC requirement, do check out our Aadhaar eKYC Services page for more information. We provide consultancy services and technology solutions for smooth implementation and roll out of Aadhaar eKYC services.